Get a jump start on this recipe by making the cracker crumb mixture a day ahead. Keep it in a resealable plastic bag so it stays crisp and crunchy. 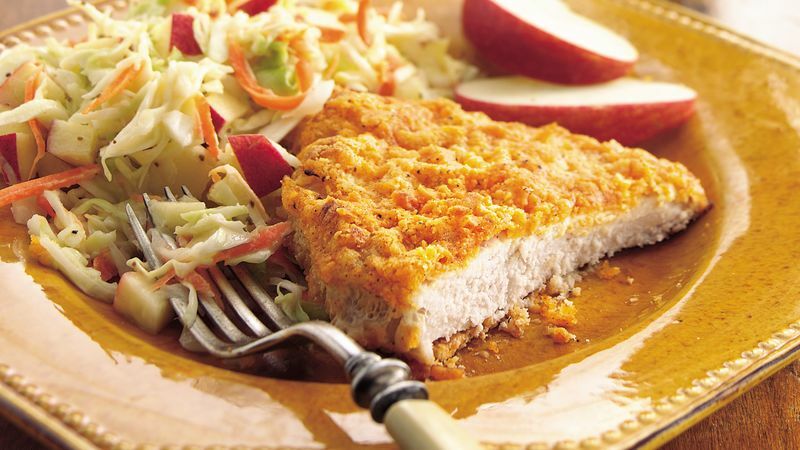 Instead of the pork cutlets, you can use boneless skinless chicken breast halves. Flatten the chicken as directed in step 1 for the pork chops, and continue as directed. Add some thin apple wedges around the edge of the serving platter for a pretty finish to this fabulous dish.